At SXSW Interactive 2014, I presented the panel, Everyone’s a Curator: Do Museums Still Matter? with Kathryn Jaller of the Contemporary Jewish Museum, Sarah Bailey Hogarty of the Fine Arts Museums of San Francisco, and Jennifer Yin of the Asian Art Museum. In preparing for this opportunity to represent a museum’s perspective at SXSW Interactive–a predominantly tech-focused, innovation-obsessed conference– we thought about how our respective museum jobs walk the line between tech work and museum work. As social media content creators, we speak the fast-flowing language of the Internet; as museum workers, we speak the slowly-articulated language of expert art curators. We are working to carve out a new space, where these disparate-seeming forms of communication can merge, and more people than ever can feel connected with art and culture through technology. These days, there’s no shortage of people calling what they do “curating,” and no shortage of other people critiquing the way the word’s meaning has ballooned to encompass all types of “fancy choosing” (thanks for surfacing this perfect phrase, Suse Cairns and Danny Birchall!). We didn’t want to focus too closely on the semantics of the term, but thought it would be interesting to talk to some friends about what they think “curating” means, at least to get the conversation started and see how those in different lines of work approach the idea differently. …Hmm, these themes sound a lot like descriptors we could each use to describe what we do as managers of our museums’ social media! Here we come to the first identity crisis of our #CurateSXSW panel: are we curators, or marketers? 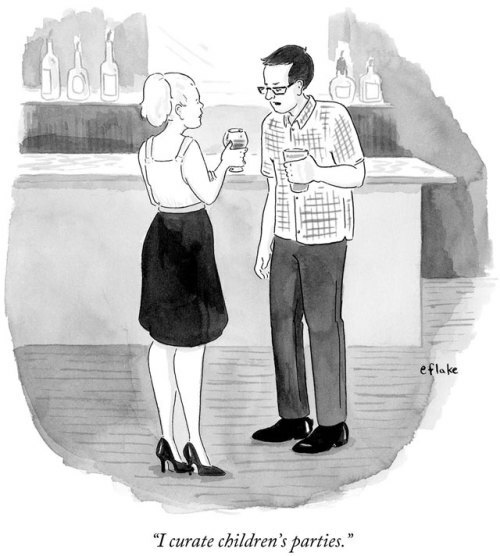 As Assistant Manager, Digital Engagement, I report to SFMOMA’s Marketing Manager. This aside, I don’t normally work on the museum’s ad campaigns, and it’s widely understood that ‘digital engagement’ fills a much broader purpose than marketing alone. In my role, I collaborate closely with colleagues in communications, digital strategy, web, interpretive media, curatorial, and beyond. As I create and pull together all forms of visual, written, and “idea-based” content from throughout the museum (as well as from outside the museum) for editing and distribution over various social publishing platforms, much of what I do comes to feel very curatorial in nature. So why shouldn’t my position be described as “Digital Engagement Curator,” then? This brings us to the very particular role of “curators” within museums, and shows us why there’s friction between museums and the fast-paced culture of the Internet, social media, and other online tools that enable anyone to feel like a curator. For museums, the role of “curator” is almost always still strictly reserved for those who bring artworks into the museum’s collection, and/or those who work directly with artists to program exhibitions, performances, and social interactions. It’s interesting to think about why the definition of “to curate” is so inflexible within museums, and what this says about the struggles museums are currently facing as they work to stay relevant. Museums are just starting to accept the fact that the Internet and social media have given rise to a whole new way of disseminating information, where friends’ (and even strangers’) comments and opinions often mean more than anything an “expert” could have to say. Information and ideas have been set free, and museums are still learning how to function in this free-flowing, democratized arts and culture ecosystem. That said, I want to be clear that all forms of curation are not created equal. Museums are selective and thoughtful about what goes on view in our galleries because we believe that our job is to recognize what’s culturally important. Our exhibitions highlight themes that say something about who we are as people, and our collections preserve artworks which we believe open doors into understanding our world better. Everything can’t be important, and everything can’t be preserved. That’s one reason why museums matter. Here’s an example that I plan to use in our SXSW panel to extrapolate on the difference between being a “museum curator” versus performing curatorial work in my museum job: while I’m essentially the “curator” of Submission Fridays (every Friday, I choose a selection of follower-submitted artwork to share on the SFMOMA Tumblr), I would not call myself a curator in the museum context, since I’m not picking out artworks using the same method that SFMOMA’s actual curators use to choose artworks to hang in the museum, such as extensively researching each artist, conducting studio visits, learning how the artist has interacted with the art world at large, etc. Rather, the expertise that I use to choose works for #SubmissionFriday comes from my experience running SFMOMA’s social media accounts, having a good understanding of our online community, and knowing which submissions will garner positive engagement when I reblog them through SFMOMA’s account. In essence, I know which artworks to featured because I’m familiar enough with the SFMOMA brand to know what makes sense to post, and I’m familiar enough with our Tumblr audience to know what they like. So it’s not the same as fulfilling the role of the museum curator, but it is curating. Phew, glad we got that out of the way! In the intensely over-saturated landscape of Facebook, Twitter, Tumblr, and beyond, how can museums compete for engagement online? How can museums keep up and compete? Understanding which tactics can be employed to best hook people in to your museum’s often complex messaging and generate engagement is an art form in and of itself. Kathy, Sarah, Jenn and I have each developed our own strategies to help our respective museums compete for attention online. One strategy that can’t be emphasized enough is the act of being social on social media. Here in the Bay Area, the social media managers from about eight different institutions try to meet up every month to discuss potential hashtag campaigns that we can all contribute to. From this, campaigns such as #MuseumOlympics and #MuseumCrush have been born (and these two ended up spreading to have an international reach, and #MuseumOlympics even gained coverage in the Wall Street Journal). In social media, strength comes in numbers, so aligning efforts with other relevant art-focused organizations/brands is an excellent way to help boost visibility. Something I’ve thought about a lot recently is how museums can curate how they are perceived by homing in on what they stand for (i.e. defining their brand), and then actively engaging in conversations relevant to those ideals, even if they’re not specifically related to the singular institution. 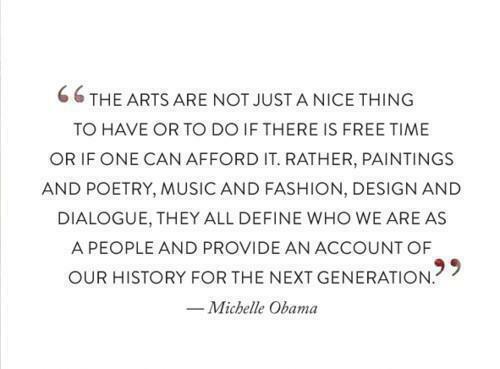 As one example, I recently jumped into the Obama art history-degree dissing moment with a thoughtful tweet from SFMOMA that asked people to share how they’d put their art degrees to work, using a conveniently perfect quote from Michelle Obama as a way to prove that art history degrees do matter. What followed was an amazing outpouring of commentary from people who appreciated the chance to share how they’d contributed to society after earning an art degree. This felt good, because it felt generous and authentic. We made a relevant, fresh contribution to the pre-existing conversation, and thus succeeded in demonstrating our values as well as garnering engagement and new followers. Win/win. We all acknowledge that the Internet is a swirling mess of information, and the world needs experts to help cut through the clutter. I believe that museums should provide that expertise, especially on social media. I love the idea behind the Curator’s Code, as it works to make sense of the Internet by creating a language for attribution, as well as for making the trails of information visible as ideas traverse the Internet. If the Internet was less like the Wild West, “curating” online content would feel less like “fancy choosing,” and more like researching, assembling, and conversing–if you could follow a bit of information to its source, you’d have a solid framework for understanding its context, which is a key piece to defining the museum definition of “to curate.” Museums should lead in standing up for a curatorially-focused model of sharing on the Internet. Curating perception means being serious about attribution when sharing artwork on social media. This doesn’t mean we shouldn’t have fun, though. One of the best ways to generate engagement online is by subverting and augmenting pre-existing conversations in order to intervene in folks’ everyday lives with a bit of art. One of my favorite examples of this was when a large contingent of museums tweeted about “superb owls” in our collections during the Super Bowl, using the hashtag #SuperbOwls so that people searching for #SuperBowl tweets might see tweets about owl-focused museum artworks (for the Curator’s Code’s sake, I’ve gotta give a shout-out to Stephen Colbert here). While silly, it also got people thinking about museums and looking at art during one of the least museum-y events of the year. It’s important for museums to be creative and interesting on social media, i.e. deliver similar types of experiences online that visitors would expect to experience on site. When we can stage small, tweet-sized interventions that get people to think slightly differently or from a new angle, we’re using social media as a medium rather than just as a way to communicate a message. This is where we transcend marketing and get into the meatier terrain of curating actual experiences through social media. Museums clearly walk a fine line online, as we hope to be serious and ‘museum curator’-ly while also leaving room for fun and spontaneity. In my job, I’m always on the hunt for that certain type of content that will be loved by both expert curators and user-curators alike. I’m also hoping to unearth content that will appeal to social media influencers, i.e. content that hasn’t already been too widely shared, as this helps situate our brand as a hub for discovering new content and ideas (which feels very curatorial, no?). One other interesting thing to note here is the way that algorithms have begun to play a role in online curation. As Suse Cairns and Danny Birchall write in their Museums and the Web paper on Digital Curation, “a museum now needs to know as much about algorithms as art history; that influence is earned not given; and that interpretation is of necessity a collective activity.” When we share, we have to keep a number of ideas in mind, from the way the post reflects on the museum, to how it will be seen and interpreted (and re-shared, or not) by our online audiences within the constraints of the social platforms we must use to stay relevant. We have to learn to work with this new system, even though we can’t always control the experience or the outcome. Although there’s no formula for successfully curating the Internet, I have thought a bit about the recipe for identifying “golden nugget” content, i.e. the bits of information–be they images, quotes, videos, articles, etc– that I can expect to garner a lot of engagement when I share them through SFMOMA’s accounts. The Internet is a complex ecosystem of sharers, and the best content will bubble to the top by means of virality. Virality is achieved when four main groups of sharers – who I see to be experts, social influencers, algorithms, and the public–all get something out of sharing the content. For experts, this might mean that the content is highly interesting and vigorous. For influencers, it might be something that is relevant to trending conversations, or something that emerges at the forefront of a compelling idea. For algorithms to share content, it must be something that drives visible engagement. And for the public? Well, they’re hard to pin down, but from my experience the general social media-consuming public like to be inspired, surprised, and provoked. While it’s hard to find content that satisfies all of these groups of sharers, it is possible – and it’s the challenge of creating museum social media! While we’re still learning about how museums can do great things with social media, we’re definitely getting closer to a model that makes museums matter more to more people, more often. One thing that I’m very excited to talk about during our SXSW panel is how I’ve seen social media actually change the minds of SFMOMA’s senior staff about how open the museum should be. One of the initiatives we’ve been working on during SFMOMA’s building closure is developing and implementing a new brand platform that will help unite our staff’s efforts and get everyone jazzed about who we’ll be come reopening in 2016. As this process has unfolded, our social media platforms have consistently come up as examples of how the museum can work with the public and be an engaged, welcoming, and accessible member of the local and global arts community – without dumbing down our content or diminishing our reputation. Thanks for finding this gem, Jenn! Expertise to cut through the clutter – people need a guide to help them get more out of the art experience. An invitation to participate and engage – collaboration and conversation > supreme influence and authoritative power. 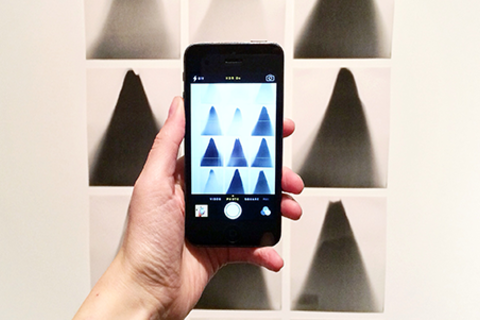 Multiple points of access – everyone should have a way into the artwork. I love how these four points literally read like a definition of what SFMOMA’s social media presence has offered from the very beginning. Social media gave us the license to try functioning in a more open way, and showed the institution that it’s not so scary to make room for the voices of the public. If there’s one idea emerging in the museum zeitgeist right now, it’s that art institutions can no longer act like treasure troves, protecting the beloved artifacts of our culture. Rather, we need to be open to sharing our beloved collections–not only in terms of granting access, but also in terms of how these collections are described, put to use, and contextualized. The collections of museums will only be relevant if people are invited to experience and understand the objects in ways that are relevant to and entwined with everyday life. This is where social media and digital engagement have paved the way by opening up the doors for the entire museum to innovate. While Kathy, Sarah, Jenn and myself may not technically be “curators” using the museum definition of the word, we are definitely bridging the gap between the work of our museums’ curators and the general public, and paving the way for our institutions’ quests to stay relevant in the age of the Internet, where no person, institutions or idea is relevant by default. Social media is driving the institutional model forward, instigating changes that will make sure that museums continue to matter. This evolution has only just begun.